You cannot expect to have only good times throughout your life. Life itself is a bag of surprises; some are good and some bad. This is the law of nature and none can escape it. And when it comes to money matters, the rate of unpredictability is much more. Therefore, people go the smart way of opting for personal loan whenever they are in urgent need of money. This is probably because, personal loans are the easiest option compared to other type of loans in the market. But the process is not as easy as it sounds. Banks usually go through a process where they check out your entire financial profile before announcing your eligibility for the loan. To help you choose a cheaper loan option, we have come up with 6 best alternatives you may opt for against expensive personal loans. This is a good alternative. Whenever you are in an urgent need of cash, simply break your fixed deposit account you had saved for your retirement. Loan against Fixed Deposits are the quickest loans you can get. Most banks usually lend you up to 75 to 85 percent of your deposit amount as loan. All you will be charged is 1 to 2 percent higher interest on loan than what you would have earned over your fixed deposit. 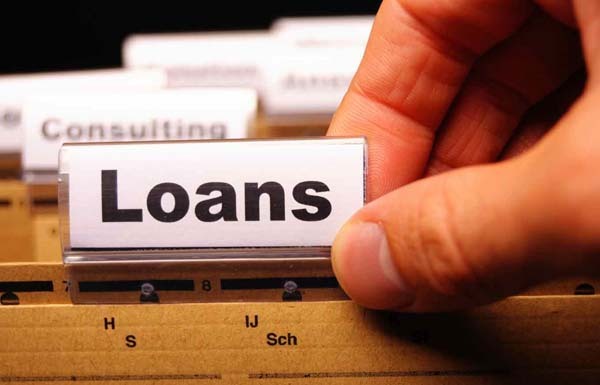 Loan Against fixed deposits is easy to grab because it requires minimal documentation. Also, interestingly your fixed deposit also earns interest rate even during the tenure of the loan. Hence no losses in that part! You can also plead for loans against Public Provident Fund. PPF is given out on the basis of repaying the loan within 2 calendar years. If you have a good history of paying the first loan on time without any dues, you are eligible for another loan within 3 to 6 years of opening an account. Gold is one of the important assets that will help you in the time of crisis. Though it is a tough call to invest on gold today, what I am referring to here is the gold that you already have in stock. They generally have high value. The loan provided against your gold dependents on its purity and weight. The god news is there are no processing charges and prepayment fees for loan against gold. Insurance is also considered to be a good saving instrument as it provides financial support at the time of crisis too. It gives financial aid against the damage that is caused for which the policy was signed. You cannot insure everything but at least you can pledge your insurance policy with your banks and borrow loans. In most cases, the interest rates charged ranges from 9 percent to 13 percent. The only major hitch is that you will be eligible only when you have paid the premiums on regular basis for a span of three years or more. Again there are certain banks that offer loans against the shares you hold from specific companies. But, do not be mistaken here because you are eligible for all loans on any type of shares. There are only a certain specific shares against which you can ask for loan. It is to be noted that the amount of loan purely depends upon the valuation of security and the borrower’s ability to repayment the loan and nothing else. Many people think that selling of immovable properties like home, plot of land or an office space can earn them quick cash for urgent financial crisis. Yes, it is true but it is utter difficult to find the right buyer in the right time. Even when you find the buyer and sell it, there might be circumstances where you might not be able to buy a land in the future. To avoid any of such confusions the safest way is to go for banks that offer the best loan against your property. If everything goes according to the rule, banker will sanction your loan within 7 to 10 days. Most banks generally offer loans up to 50 percent to 60 percent of the market value of your property. The interest rates charged is normally 12 to 16 percent. Get a third party valuation done as banks may undervalue your property while granting loans on them. However, note that go for loan against property only if you are in need of a huge amount of cash.